The St Vincent de Paul (SVP) is an organisation that assists people who are in need. There are four St Vincent de Paul Conferences in Bray. We have just begun a Youth Conference of the St Vincent de Paul in our school. We have approximately 25 registered members from first year up to fifth year. These students meet after school on a Wednesday as it is seen as a voluntary group which should be meeting outside of school hours. As a Youth Conference, the brief is slightly different to the adult groups so they do not conduct house to house visitation. The Youth Conference identifies issues of social justice that they would like to pursue. Ours has decided to focus on equality and kindness. It is student-led and we have a wonderful group of fifth year students who are heading up the conference. They will be engaged in different activities to benefit the SVP over the year. They have had three leadership training sessions with Clare Mander, the National Youth Officer for the SVP. This provides them with leadership skills, group skills, organisational skills so that they can function more efficiently as a group to achieve their targets. Stay tuned for more information regarding this group. 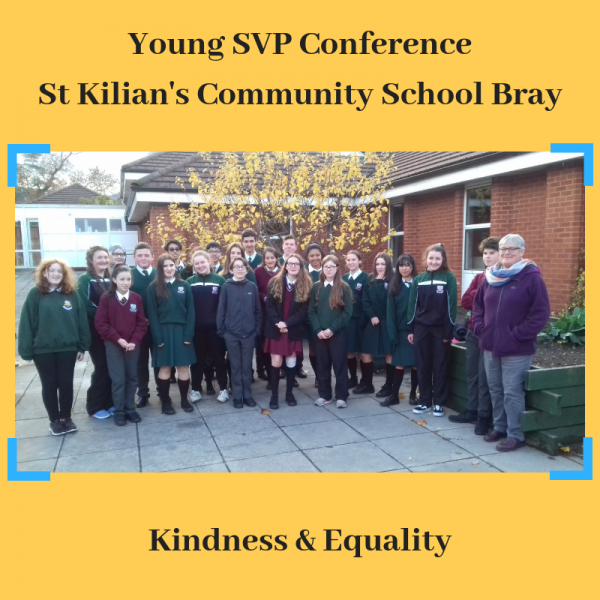 The teacher link for the Youth Conference is Louise O’Sullivan who is already involved in the SVP St Patrick’s Kilquade Conference.